If you are someone who has never heard about the Devil’s Claw (Harpagophytum procumbens), then you should know that this is a trailing perennial plant that comes with creeping stems which has been reported to develop up to a staggering 5 feet in length. Its root resembles a very thick carrot and it also features secondary roots tuberous in shape. When it comes to its stems, they are grayish in color, it has a woody and thorny fruit and reddish-violet flowers which are tubular in shape. This herb actually grows in S. Africa and also in the Madagascar Island. You can also apply it externally if you have boils or skin lesions. This amazing plant comes in tea form, tincture and capsules and can be found in drugstores and pharmacies. Tincture: If you would like to use the Devil’s Claw in this form, then you will have to take between ten to forty drops of it on a daily basis and only follow the dosage your doctor recommended you. For a decoction, you will need to add half a teaspoon and up to a teaspoon of rhizome into 1 cup of water, bring it to a boil and then simmer for around ten to fifteen mites. For at least thirty days you will need to drink this three times per day. The Devil Claw’s secondary roots are recommended for collection when the rainy season has ended. If you would like you will be able to have it combined with Meadowsweet, Bogbean and Celery seed in order to treat your arthritis. You will find a very high concentration of iridoid glycosides in the Devil’s Claw, but also secondary metabolites. Due to its massive beneficial effects this plant is very much used in Europe in order to treat inflammatory joint disorders and any other related pain. The fact is that there is little to no scientific proof in regards to the effectiveness of this herb, but it seems that the folkloric information found on it is plenty, which indicates that the herb is very much able to treat these problems. Remember, as with any other herb out there, there can be side effects experienced by individuals, so that is why if you’re under certain medications, you will have to get in touch with your doctor before starting your use of Devil’s Claw. Some side effects you might experience number upset stomach, diarrhea and headaches, yet the good news is that they are very rare. But if you will experience these side effects you should talk to your physician as soon as possible. Yarrow also referred to as Achillea millefolium is a unique flowering plant which belongs to the Asteraceae family which is commonly found in the Northern-Hemisphere. In other regions like southern Colorado and Mexico, this plant is referred to as little feather or plumajillo because of the shape of its leaves. During the ancient times, this plant was referred to as herbal militaris because of its use in stopping blood flow from wounds. Other names include oil man’s pepper, milfoil, thousand seal, thousand leaf, devil’s nestles and Gordaldo among other names. This herb grows everywhere in the meadows, grass or by the road-side and since its roots creep greatly and it multiplies by seeds, it has become one of the most trouble-some weed in any garden. This plant is an erect herbaceous-perennial plant which produces one or more stems that can grow up to a maximum height of one meter, plus it has rhizomatous growth-form. 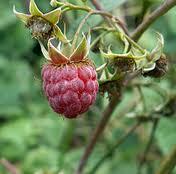 Its leaves are distributed evenly along the stem with bottom and middle leaves being bigger. The leaves of yarrow are about 20cm long and either tripinnate or bipinnate, plus they are feathery and arranged in a spiral manner on the plants stem. The leaves of this plant are cauline and clasping. Yarrow contains 3-8 ray round or ovate flowers which have white-to-pink flowers. These plants have small achenes fruits and they grow in high or low altitudes of up to 3500m above-sea-level. Yarrow can help lower fever especially in the early stages of flu and cold. To lower your fever all you have to do is drink a mug of hot yarrow after each 2-3 hours. To create the tea, all you need is a spoon of dried leaves and boiling water. You can let it boil for ten to fifteen minutes before straining. To help reduce your blood pressure, yarrow can help dilate your peripheral vessels. This will help improve the tone and circulation of various varicose veins. Yarrow infusion can help relieve inflammation and pain caused by arthritis or various injuries. This herb can help lower skin inflammation like psoriasis & eczema. This also helps cleanse all wounds while speeding up healing. 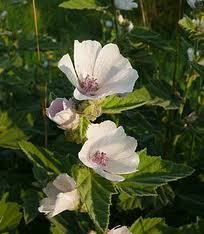 This is the best herb for dealing with acute surface bleeding and abrasion. You can apply yarrow directly onto the wound to halt bleeding, while reducing inflammation and swelling. This herb can be used to deal with persistent wounds or sores that are not healing easily like rashes, burns and skin ulcers. Yarrow can help relieve the pain caused by bladder infection. This herb can also help reduce the frequent need to urinate when you have an infection in your bladder. If you are suffering from hemorrhoids, then the best solution for the pain is soaking in a bath tab mixed with yarrow extract. 1. 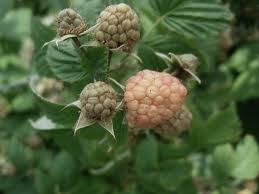 This herb can help deal with the stomach cramps which have been caused by stomach indigestion. 2. This herb can help normalize your menstrual cycle, by reducing the heavy menstrual bleeding. 4. Various studies done have shown that this herb can help reduce smooth-muscle spasms, which can be used to explain its gastro-intestinal benefits further. Preparation of yarrow tincture is quite simple, the hard part is storing it until it becomes potent. 1. Get approximately 200g of dried roots and add them into a 1 liter Mason jar or mug. 3. Store this mixture in a dry and dark place for about 4 weeks. If you need a stronger tincture, make sure you store it for approximately 8 weeks. 4. Make sure you shake the jar each day until the tincture is ready for use. 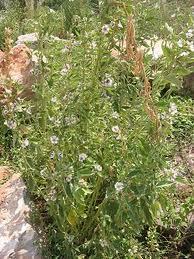 Various individuals are allergic to this herb and some have developed dermatitis from just touching it. 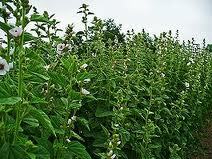 So make sure you are not allergic before trying this herb. 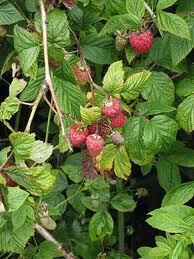 This herb tends to interact with other drugs like blood pressure and thinning drugs.